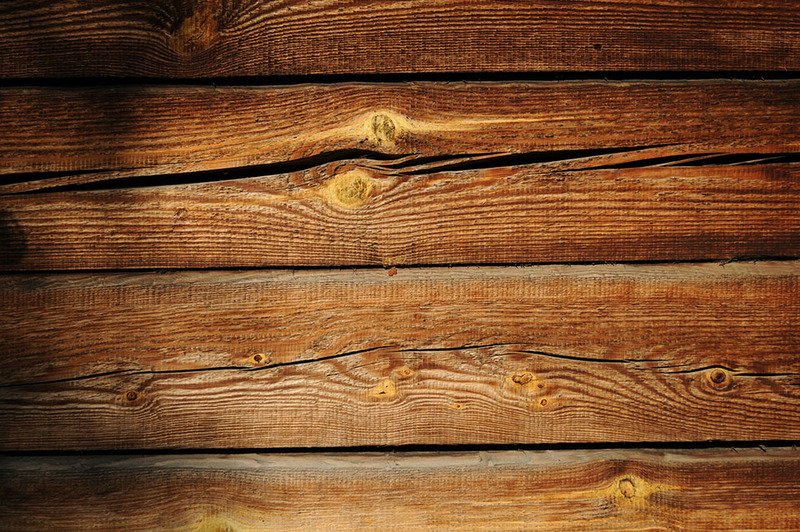 The reason many people choose to build a timber retaining wall is because of the esthetic value. While steps can be taken to make a concrete or rock retaining wall more appealing, it is difficult to make either as attractive as a timber retaining wall. Additionally, the labor required to make a timber retaining wall is considerably less than that required to make concrete and rock retaining walls. However, timber retaining walls are vulnerable to both water and pressure. To make a timber retaining wall that can withstand the weight behind it and resistant to water, it is important to know how to build a timber retaining wall before beginning construction. In addition to the requisite tools like a shovel; posthole digger; wheelbarrow; hand sledge; a hand or circular saw; a drill and 3/8-inch bit, building a timber retaining wall requires: Portland cement; 4-by-4-inch, pressure treated timber; #3 rebar; a 2-foot level; crushed rock (washed is not necessary); geotextile fabric (silt fence); string and perforated corex drain pipe. Prepare each length of timber by pre-drilling holes. Begin by drilling two holes, both three (3) inches from each end. Drill additional holes through the timber every three feet between the two end holes. Begin building the wall by excavating a cut seven (7) inches deep and two (2) feet wide. Lay geotextile fabric (silt fence) across the entire bottom of the cut and up the side of the cut intended to be retained. Drive two one-foot pieces of rebar into the each end of the cut, four inches from the edge opposite the side to be back filled. String a line between the rebar six inches above the bottom of the trench. Dig a post hole at each end and every six (6) feet. Dig each hole 12 inches deep. Use the outside of the string line as a guide. Put the holes on the side opposite that which is to be back filled. Put a length of timber in each hole, mix the cement and fill each hole. Level the timber vertically and make certain the faces of each length are parallel to the string line and butted up against it. Fill the bottom three (3) inches of the cut with crushed rock. Lay pre-drilled lengths of timber in the cut end to end beneath the string line. Align the edge of each length of timber under the string line. A four-inch gap should exist between the horizontal timber and the far edge of the cut — that opposite the side to be back filled. Drive rebar into each end hole of every length nine inches into the rock and dirt below it. Drive a piece of rebar into every hole in between the end holes. Then, drive an 8-inch piece of rebar through the vertical timbers into those laying horizontal. Stagger stack the next lift of timber by driving the rebar protruding from the first lift of timber into the predrilled holes of the second. Continue stagger stacking the timber upward. Every four lifts, drive an 8-inch piece of rebar through the vertical timbers into the adjacent horizontals. Put perforated corex drain pipe along the entire length of the backside of the wall. Make certain the pipe drops 1/8″ per foot from one end of the wall to the other. Fill the 16-inch space between the retaining wall and the back of the cut with crushed rock to the height of the wall. Put four inches of fill over it. Fill the four inch gap on the front side up to the pre-existing grade of the ground with rock.